We make it possible for you to not only bill insurance companies, but also to do so as in-network providers. This sustainable funding source is provided at no cost to you or your students. In addition, our comprehensive software solution provides our student portal, practice management system and electronic medical records. Should you want to keep your current software, we will provide the interface at no charge. 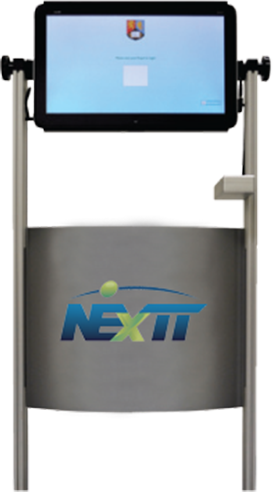 Vivature has developed the industry’s first bio-metric kiosk to check-in athletes when they arrive in the training room, as well as allow the athletes to see scheduled appointments, repetitive treatments and perform self-documentation on regimens, such as ice bags for preventative injuries. In addition to the students, the athletic trainers will also be registered biometrically in the software and their fingerprints will bring up a different screen to help them document in real time.